At Central Oregon Weddings we’re always looking for the best ways to help couples find everything they need for their big day. 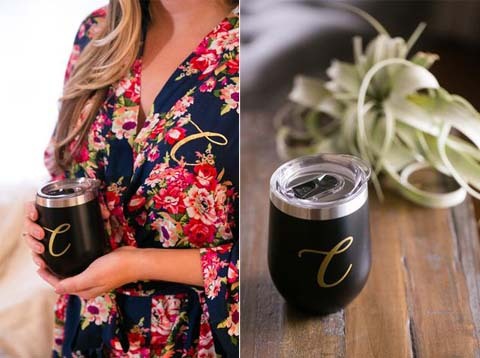 One of the requests we get a lot is where to find ideas for custom bridesmaid and groomsmen gifts, and where to find them. 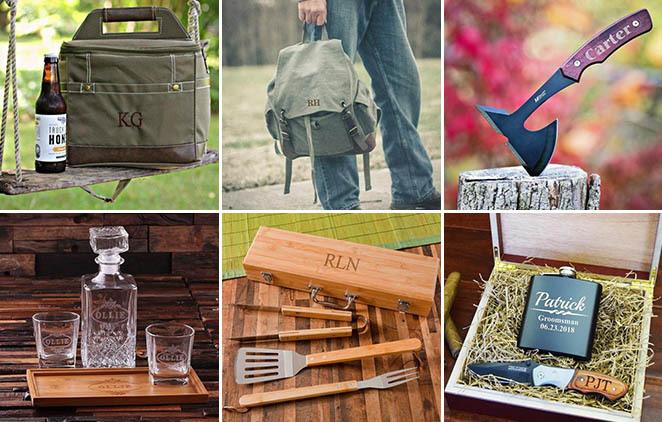 Luckily, there’s a fantastic company online that has an incredible selection of custom gifts! Groovy Guy Gifts and Bridesmaids Gifts Boutique sent us a couple of sample gifts to review, and we’ve been extremely impressed with both of them! The first product was the “Charcool Master Set” BBQ and grilling set. 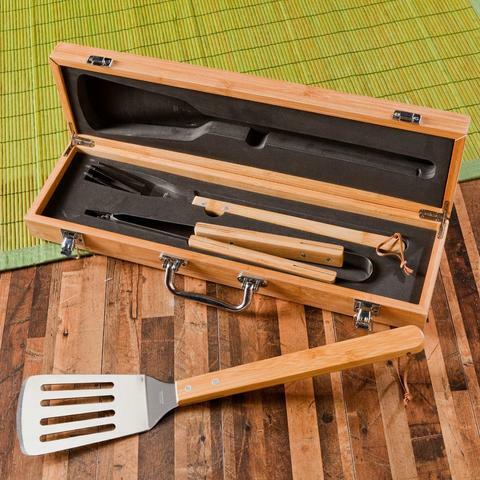 These BBQ tools come in a beautiful bamboo case with a custom-cut padded interior to hold the tools. Everything was high quality and worked perfectly. We used them for indoor and outdoor cooking and honestly, got rid of our old set because it was so nice using the set from Groovy Guy Gifts. 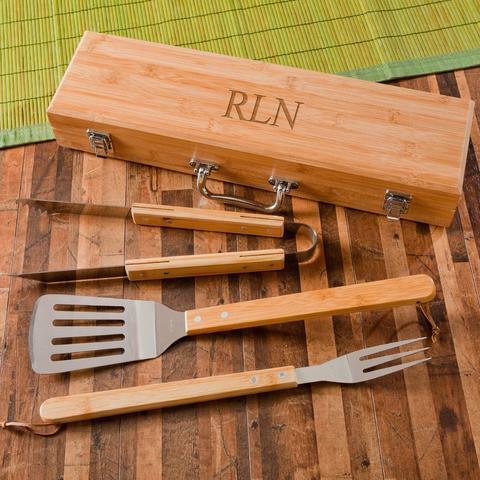 This set is such a great gift for your groomsmen, with a personalized bamboo box, and the three main utensils you need for grilling; a spatula, long bbq fork and tongs. The tool handles and the case are both made from high-quality bamboo, and having used them for over a week now, I can tell they’re going to last for a long time! We also got out hands on the “Simply Stemless” vacuum insulated wine cups. These cups are just incredible. Extremely durable, customizable, and better insulated than any other cups or glasses we’ve ever used! While using our sample we decided to fill it with a mixed drink on ice to see how long it took for the ice to melt. With the cap on and left at room temperature, it took 23 hours for our ice to completely melt! We got the same results when we filled it with hot coffee; 4 hours after pouring it and the coffee was still warm. 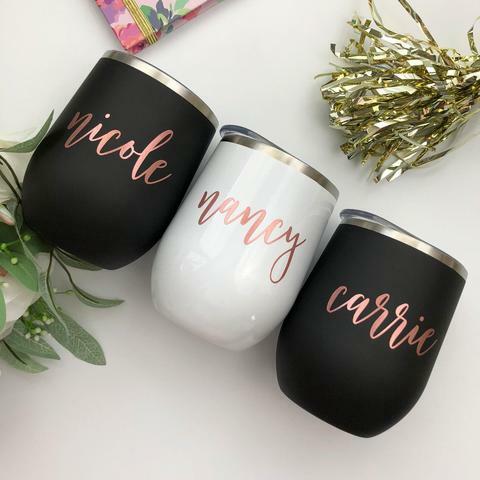 These are an excellent gift for bridesmaids and other members of a wedding party, and can be personalized with names and colors. What a perfect gift to use throughout the weddings day, too! In conclusion, if you’re looking for some of the best bridesmaid and groomsmen gifts, make sure and head over to Bridesmaids Gifts Boutique and Groovy Guy Gifts. With such a wide variety of products to choose from, we’re sure you’ll find exactly what you’re looking for!